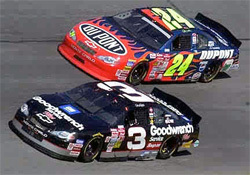 NASCAR is well known for the name and the acronym, which stands for the National Association for Stock Car Auto Racing and was justifying created so that a catch and easy to say acronym was able to associate with the sport. 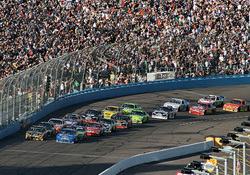 The sport is extremely popular in the United States, selling thousands of NASCAR tickets for each and every event that is available. The pure adrenaline rush that is provided to the viewers is enough to entice them further to come back for more, and there is never a more anticipated form of stock car racing in the world. The original set up for NASCAR is surrounded by much more prestige than any other sport that can be identified back to its roots. The sort slowly came to fruition as a result of the preference of location at Daytona Beach. Back in the earl 1920’s to 1930’s, Daytona Beach became a prime location in achieving land speed records, surpassing that of other well-known countries related to automobile racing such as France and Belgium. Whilst then there was no form of NASCAR or NASCAR tickets for the sporting enthusiast, there was the premise of creating an event that would captivate a nation. The use of the race track did not give way to NASCAR until 1936. A group of drivers gathered on Daytona Beach with an assortment of vehicles and began a series of races to determine the fastest cars as well as the best drivers. Founded by William France, Sr., he helped to initiate NASCAR towards the formation of a professional competition, introducing rules and regulations that extended through various aspects of the sport in order to bring it up to acceptable competitive standards. Formerly known as the National Championship Stock Car Series (NCSSC), the acronym NASCAR was not created until its founding in 1948 and the first NASCAR tickets for sale were not available until 1952 when the first competition was held outside of the United States in Canada. Buddy Shuman won the 200-lap race which took place on an 800m dirt track in Stamford Park, Ontario. The modern day NASCAR seems to be a lot more evolved and developed than it was during it’s inaugural years. Most prominently, the turnout of crowds is significantly higher and the sport gathers a much larger prestige and attention across the United States. It currently provides a number of different series in order to captivate and maintain a presence and dominance as a supreme sports racing event in the country. The multitude of series includes the Sprint Cup, Nationwide Series, Camping World Trick Series and Canadian Tire Series amongst a range of other variations of the sport have seen an increase of NASCAR tickets for sale due to heightened popularity. 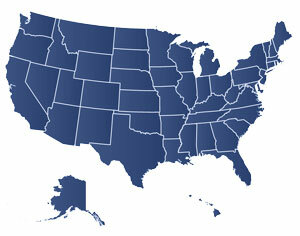 However, the fame and accreditation come from the most prestigious event, the Sprint Cup. It is considered the highest level of professional competition for the sport, most poplar and most profitable NASCAR series. It takes place over a period of 10 months and exemplifies both skill and ability by driver and car manufacturer alike, with the winner taking home not only prize money but the wondrous delight of success and fame throughout the nation. Automobile racing is imbedded in the rich and vibrant history of the United States, one of the aspects of the country that make it so great. The implementation of various sports and ideals that make the country so diverse is one of its supreme defining points. NASCAR events are one of the stables of automobile racing and NASCAR tickets are a sure-fire method of injecting fun and excitement into your life, making them the messiah for any car lover.